The record is made up of Codex A collection of pages, usually gathered into quires, and bound between covers. ; ff. i+159+ii. It was created in 839. It was written in Arabic. The original is part of the British Library: Oriental Manuscripts. Comprehensive introduction to the principles of astrology by Abū al-Rayḥān Muḥammad ibn Aḥmad al-Bīrūnī (أبو الريحان محمد بن أحمد البيروني, ca 973-1048). 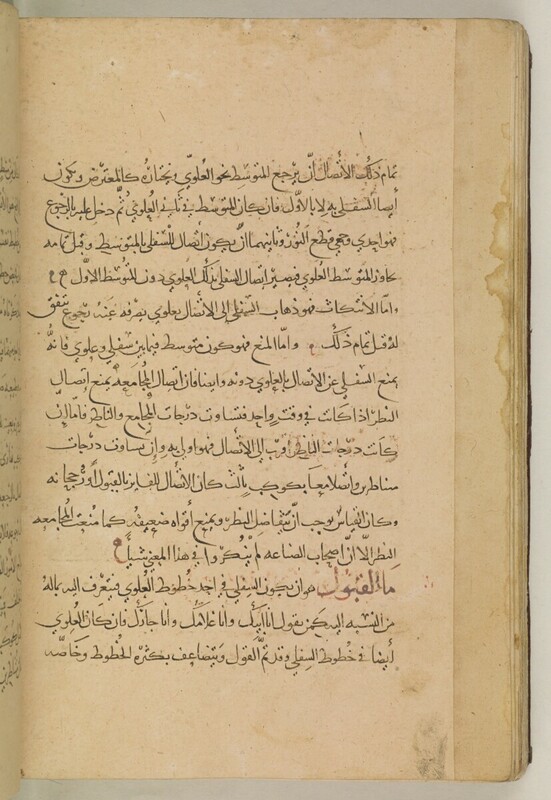 The text is written in question and answer format (على طريق المسئلة والجواب, f. 2v, line 8), and it deals with the sciences needed by the astrologer: geometry, arithmetic and number theory, and judicial astrology (see f. 2v, lines 8-9). The author states that he composed the work for Rayḥānah bint al-Ḥasan (ريحانة بنت الحسن , f. 2v, lines 7-8). The text contains numerous diagrams and tables.